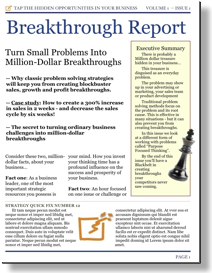 Thanks for requesting The Breakthrough Report. Here’s The Breakthrough Report. . .